They broke off after the cold. 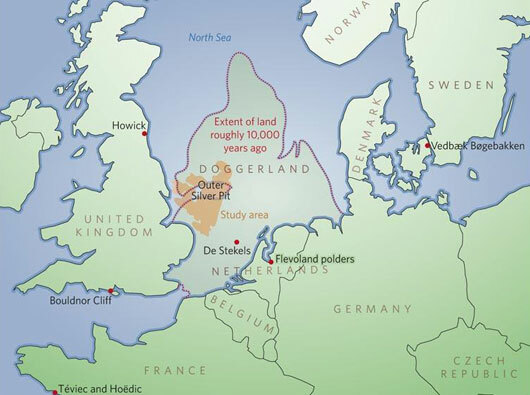 The ice age was over, the glaciers had retreated all the way back to Scandinavia, and humans wandered Northward. Over the land they settled down on, the North Sea today swashes. Totally amazing. And a beautiful book, too. Thanks.